Do you remember Denny Duermit? 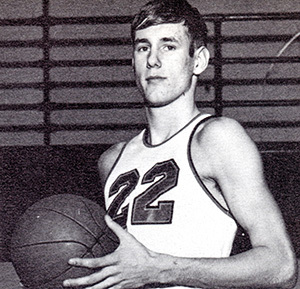 Denny Duermit graduated in 1969 and was inducted into the Hall of Fame in 2016. 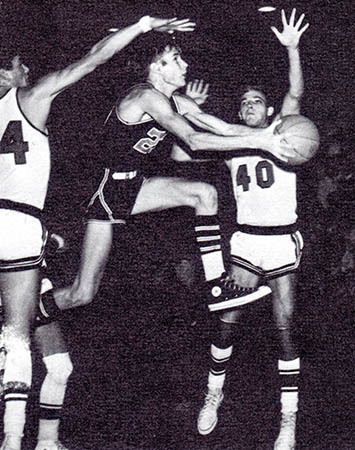 Denny attended Withrow from 1965-1969 and had two outstanding basketball years leading the Tigers in scoring (20.9 in 1969) and a combined two year record of 32-10 and the 1969 PHSL League Championship. He was PHSL 1st Team both years and PHSL Player of the Year in 1969; as well as 1st Team All-City by both the Enquirer and the Post and Times-Star and AP All-State Honorable Mention that year. His efforts were rewarded when he received a full-ride basketball scholarship to the University of Cincinnati. Upon graduation from UC, Denny entered the education field and spent his last 27 years as a teacher at Walnut Hills High School, including 14 years as the Head Boys Basketball coach. He currently has the most wins in the school’s history, including 5 League Championships, 2 Sectional Championships and 1 District Championship. Dave was named the Enquirer Coach of the Year in 1987 and the Post and Times-Star Coach of the Year in 1988. Denny is now retired and resides in Cincinnati.